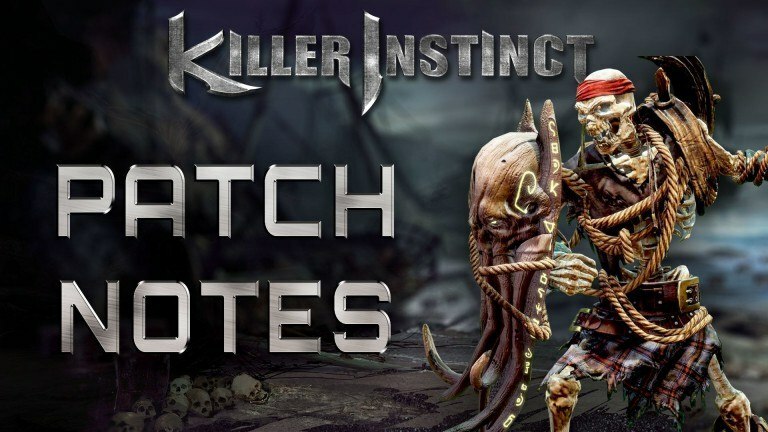 Not long now until the latest KI Content Update (3.6) goes live. Tomorrow, December 20th, some time in the am hours PST, this CU will drop and you’ll have a host of new content to check out. Naturally, you’re asking yourself what will be in this update, so we invite you to come check out the Patch Notes in one of two ways – hit the play button on the embedded video below, or give them a read further down the page. When you’re down, we’ll definitely have to talk about the giant, cybernetic robot in the room, but there’s more time for that later. Enjoy! NEW FEATURE! You can now choose Survival vs AI or Shadows without owning a Shadow. This is a great way to earn SP! NEW FEATURE! New content can be unlocked by achieving benchmarks in Shadow Lords Archives. The meter is also visible on single and multiplayer menus. Here’s what you can unlock! Player can now quickly feed Astral Charges to an empty guardian from the Mission Select Loadout! Godlike is now locked until player beats Gargos on Challenging. Resets KV meter. Can be used twice. Added 300 KI Gold purchase option to Store! Huge thanks to the community for their feedback on these changes. We are looking forward to seeing how they effects the game in your hands, and to hearing your thoughtful feedback after playing for a few weeks. For those that missed the discussion, these changes are intended to lessen the reward for a successful combo breaker and raise the value of longer combo attempts. They are also intended to lessen the chaos after a successful breaker by leaving the players in a predator/prey situation that favors the player who was able to open his opponent up. As a result of the PD lingering for longer and breakers not restoring all PD, you will also see some tuning to the characters that specialize in dealing lots of PD in this update. Fixed a bug that could prevent Shadow Hail from spawning if your back is to an Aganos wall. Fixed a bug causing the startup of Shadow Cold Shoulder to be missing its hurtboxes. Fixed a bug causing Shadow Summon to Summon 4 skulls instead of 3 during Instinct. No bonus skulls were intended during Instinct. No longer sets your spin speed to maximum. No longer prevents you from losing spin speed as you normally would when using energy systems or getting knocked down. Now gives you access to cost-free pip cancels for the duration. Fixed a bug where certain character ground combo breakers were not removing Cinder’s burnout status effect. Fixed a bug that could cause OTG Detonators to sometimes whiff specific characters in specific screen positions. Fixed a bug causing Kryll Rush, Shadow Kryll Rush, and Shadow Emergence to fan the flames as if they were Punch moves. Fixed a bug causing the Kryll Shield animation to get stuck during Instinct if cursed by Kan-Ra. Fixed a bug causing reversal special moves to not be possible after RAAM’s LK Flipouts. Fixed a bug that could cause Shadow Meteors to keep falling after performing a counter breaker. Fixed a bug causing the Lv1 version of the Crushing Destroyer Ender to cause a hard knockdown. So…there’s A LOT to talk about, yeah? Make sure to swing on by the forums and let us know what you think.